I am excited to announce my new novel collaboration with J Thorn will be released in early 2015. The yet to be titled fictional novel is described as a combination of horror and dark fantasy. If you are a fan of early Stephen King and Robert Jordan and wish they had written a novel together, this novel will be perfect for you. I am both humbled and honored J Thorn chose me to co-author this novel with him. 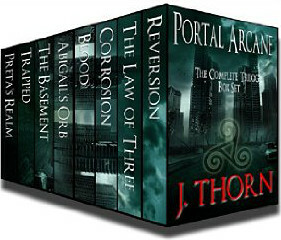 As most of you know, J Thorn is a top-5 Amazon horror author with over 200,000 novels sold. This is a wonderful opportunity for me to expand my reader audience, as well as have a rare opportunity to work with one of the most gifted independent writers in the horror and dark fantasy genres. In the coming weeks I will reveal both the cover art and title for our new novel collaboration. We hope to begin the editing process after the holidays with a release date during the first quarter of 2015. Keep checking in for updates. You can also connect with me on Facebook (be sure to click “Like” on the page), or sign up for my newsletter email list to be the first to receive updates. Happy Holidays, everyone! Really excited to see what you guys came up with! Thank you, Zach. I believe people will be very excited when they get their hands on the finished novel. It was a big stretch for both of us in terms of subject matter and world building. Very, very excited about this collaboration. Do you know when the publication date is yet? J Thorn gave me a copy to read and I loved it!